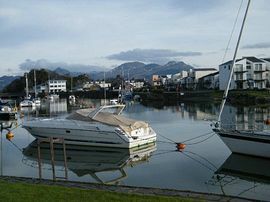 A fabulous 5 star cottage-apartment, created from the former harbour masters offices on the quayside at Porthmadog harbour, all the history with 5 star appliances and the most wonderful location,step out of the front door onto the harbourside. 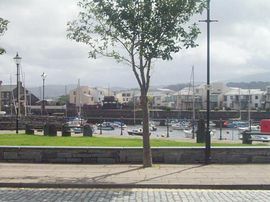 Enjoy an early morning coffee sat on the harbour wall, just 10yds from your door, stroll along for the most wonderful breakfast at The Old Bakehouse just 100 yds away, watch the yachts and cabin cruisers depart or visit the harbour, feed the fish from the harbour wall or just simply watch the changing tide. 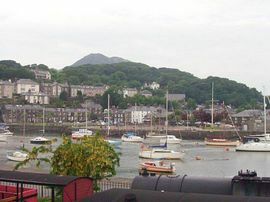 Outside a small slated patio area looks over the harbour, and a real benefit in Porthmadog, we have 2 private parking spaces in our own car parking area. 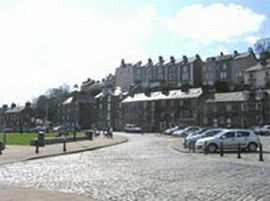 The town itself is just 2 minutes walk away and is very vibrant for most of the year. Within 2 minutes walk of the town. we are situtaed on the Wharside of Porthmadog harbour. 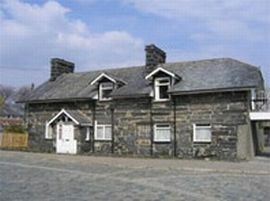 200 yds off the high street Porthmadog, right on the harbourside. Maximum tariff £550 per week.